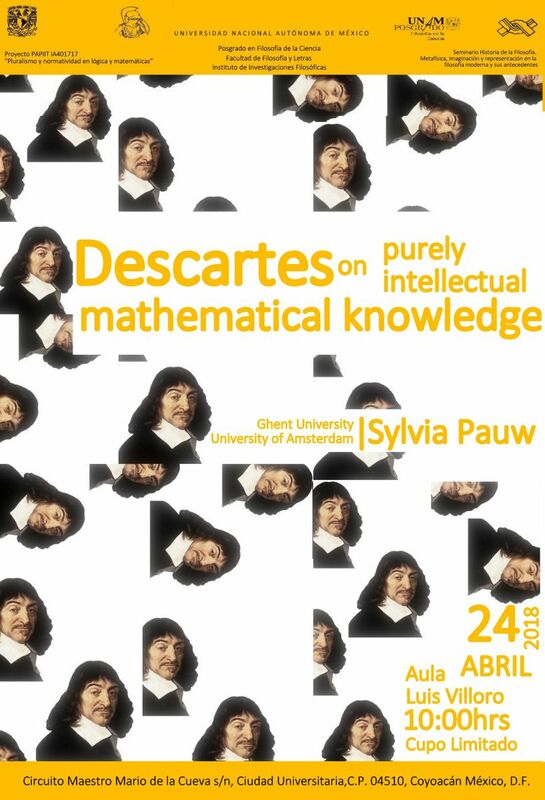 In this talk, I argue that humans must rely on the imagination to obtain mathematical knowledge according to Descartes, but that he nevertheless regards mathematical knowledge as purely intellectual. The mathematical knowledge that humans obtain by relying on the imagination, and hence their own bodies, could at least in principle be shared by non-embodied minds. I argue for this thesis by critically evaluating Nolan’s (2005) analysis of the role of the imagination in Descartes’s philosophy of mathematics. Nolan claims that mathematics relies essentially on the imagination according to Descartes, and that, for that reason, he assigns a lower status to it than to our purely intellectual metaphysical knowledge of God, the mind and extension. I show, contra Nolan, that Descartes regards mathematical knowledge as purely intellectual, and that he has good philosophical reasons to do so. 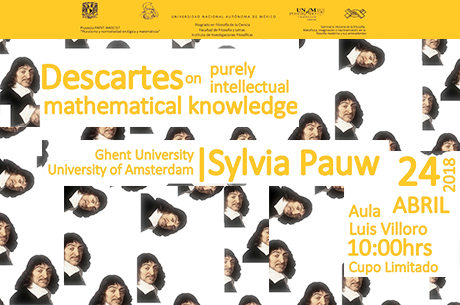 Just like our purely intellectual knowledge of God, the mind and extension, mathematical knowledge forms knowledge of the world as it is independently from humans as embodied creatures in Descartes’s eyes. I clarify in which sense human mathematical knowledge relies on the imagination according to Descartes, and why it can nevertheless be regarded as purely intellectual. This allows us to see why mathematical knowledge is not principally restricted to creatures that possess bodies for Descartes.